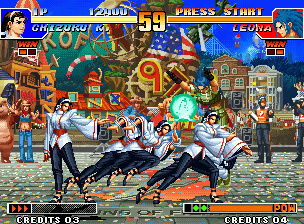 Another year, another King of Fighters. 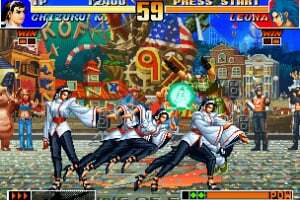 Additions this year come in the form of slightly improved graphics and sounds, new moves and a new game mode. 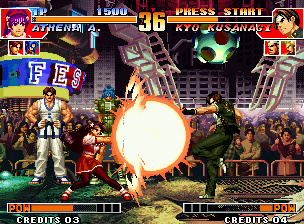 Gameplay is much more plot-driven, as you have middle-bosses that can change depending on what team you select. 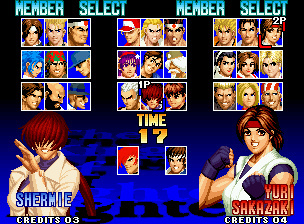 In addition, there are several special endings which are only shown when certain "Edit Team" combinations are selected. 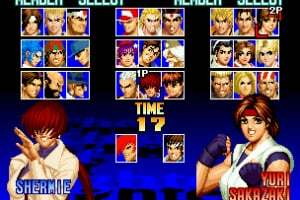 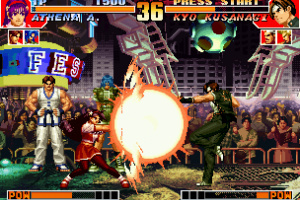 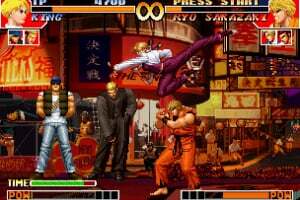 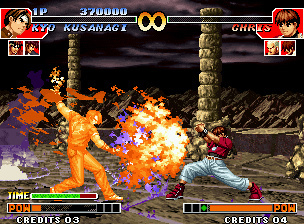 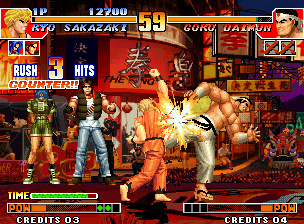 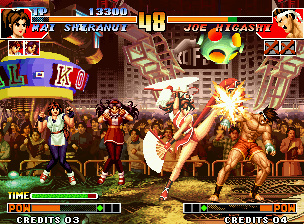 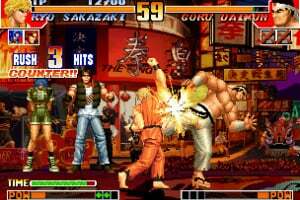 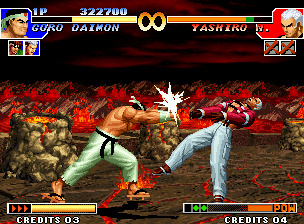 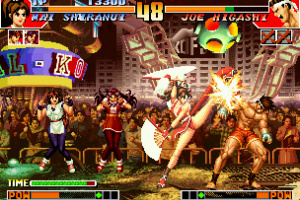 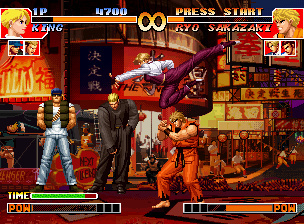 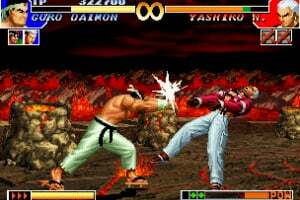 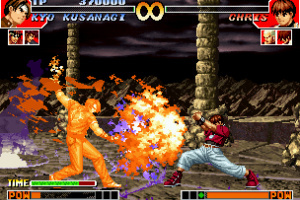 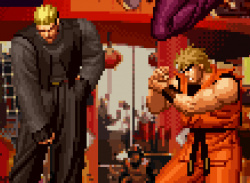 I would have preferred King of Fighters '96 before KoF97 but I'll download it anyway. 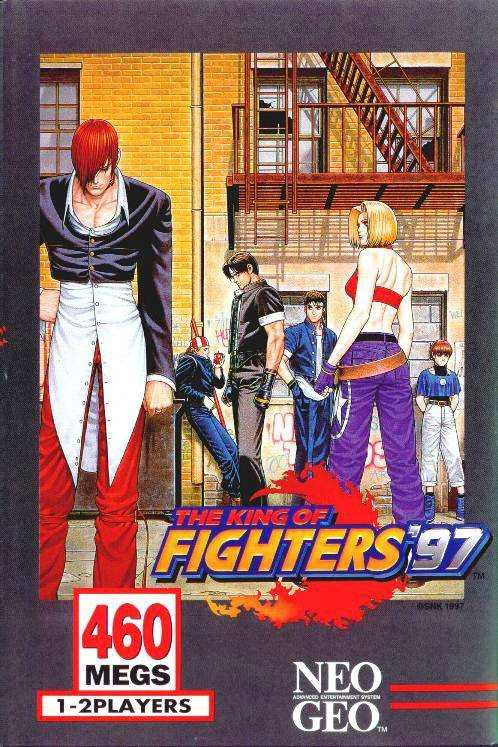 If KoF96 comes later, I'll download it then.